If I am going to have a nice hot cuppa, its definitely during the holidays or at tea parties. For some reason festive occasions call for warmer beverages in my mind. One of my favorite flavors during the Christmas season is Republic of Tea's Peppermint Bark which is one of the three teas offered in this Holiday Tea Trio sampler. In this stackable gift set you'll find 12 tea bags each of the following blends: Dream By the Fire, Comfort and Joy, and Peppermint Bark. As I mentioned, Peppermint Bark is one of my favorite blends and, let me tell you, it makes a terrific tasting tea latte! Dream By the Fire is a lovely herbal blend of cinnamon and vanilla that is also quite delicious. I haven't tried Comfort and Joy but any black tea boasting cinnamon and cloves generally has my attention. When it comes to gift giving, I'm a fan of the tea samplers because it offers more variety. A friend of mine gave me a chai sampler set once upon a time and I absolutely loved it because I was able to try multiple varieties. Republic of Tea is my go-to when it comes to fun and wonderful flavors of tea. If you haven't ever tried them then I highly recommend you do and am happier still to give away one of the above Holiday Tea Trios to one of you. Would you care to win this holiday tea collection? Simply leave a comment below, including a valid e-mail address. This contest is open to U.S. Residents only and will be open through Wednesday, November 11th. THIS CONTEST IS NOW CLOSED. THE WINNER, as selected by Random.org, is #21 - Ginger Mae. CONGRATS! Many thanks to Republic of Tea who sent the above sample my direction in order to facilitate this review and giveaway. I received no additional compensation and all opinions are my own. Those all sound delicious. 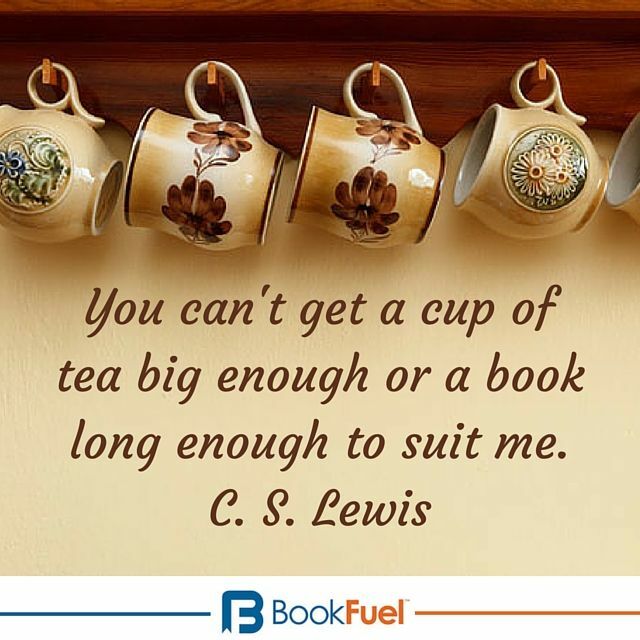 I'm partial to hot tea myself (says Ms. Always-Cold). I used to think that I wasn't actually much of a fan of tea itself, but that I loved tisanes (herbal "tea") - and then my local tea shop taught me that you're supposed to brew tea 2 minutes and tisanes 6 minutes. I tried brewing tea for just 2 minutes - and what do you know? I love it now that I take the tea bag out before all the nasty bitter tannins get into my cup. By the way, if you ever find yourself in Wichita, KS, I think you'd enjoy my local tea (and coffee and spice) shop The Spice Merchant. My current favorite of their teas is "Madame Butterfly" - a green tea with peaches. Yum! My husband is trying to break his soda habit, so he's attempting to learn to like tea. This would make a lovely present for him. I LOVE the Republic of Tea. My go-to is always the Orange Ginger Mint but I love to switch it up on cozy afternoons. I've not tried any of their new Christmas teas & can't wait for something new. 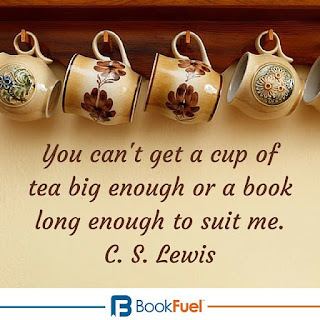 Nothing like a great cup of tea and an amazing book! 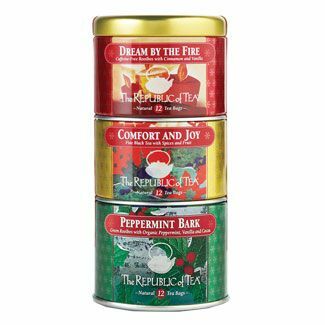 I haven't tried Republic of Tea but Dream by the Fire sounds really good. As the weather gets colder, I like a cup of hot tea when I come home from work. Thanks for the chance to try these. My Briana is a tea-lover. These sound like some fun flavors to try! MMMM! I've been drinking a lot more tea these past couple of months...and venturing out to some different flavors. These sound delicious!